It’s already May, and planning for the summer holidays has begun. Having a pet can sometimes limit the amount of time you go away for, or might even prevent you from getting a break altogether. Luckily, there are a variety of options you can avail of in order to look after your pet while you’re away. Every animal is unique: cats and dogs, for example, all have unique personalities. The breed of your animal may partially determine its personality, but any serious dog owner knows that the individuality of pets cannot be explained entirely by their breed. You, the owner, are the person who knows your pet best, and you understand their whims and quirks better than anyone. The needs of your pet can greatly affect what type of pet care you decide on, and should be an important factor when hiring a professional pet sitter. If, for example, your dog has any extreme anxiety or aggression issues, is it really sensible to opt for a pet sitter? In such cases, you may want to think of other alternatives. Luckily, pet sitting companies will often include a meet-and-greet service in order to give you peace of mind regarding your pet’s suitability. Both you and the company can decide together if the temperament and behavior of your pets makes them eligible candidates for pet-sitting. How much attention does your pet need? Are they exceptionally clingy, or are they more independent? Pet sitting services can work with you to customize a plan for the care of your cat or dog while on holiday. Moreover, pet sitting isn’t just restricted to cats and dogs, so if you have an unusual pet, pet sitting can still be available to you. No matter what kind of pet you have, you can request as many daily scheduled visits as you think is appropriate for your dog. If, for example, you have a younger dog who is still prone to eating the furniture and excreting inside, you can ask for more visits to give you peace of mind. Worrying about your animal while you’re vacationing can ruin your holiday, so organizing the correct frequency of scheduled visits will greatly improve the quality of your time away. 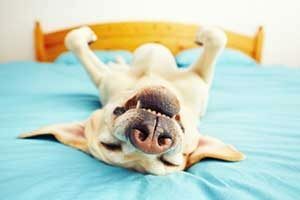 There’s nothing more conducive to relaxation than the peace of mind that comes from knowing your pet is in good hands. If your animal has special dietary needs or needs to take medication on a regular basis, pet sitters can do this for you on request. 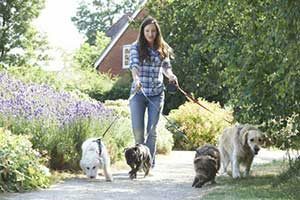 Search for a pet-sitting company that provides medication administration as part of their standard service, so that you know you’re hiring someone who can assist your dog with confidence. Such services are necessary if your dog has special medical needs, such as requiring insulin injections. Many pet-sitting professionals possess the technical expertise to carry out such requests. It is recommended that you hire pet sitters who are fully qualified, and can show you their documentation as proof on request. Look out for qualifications such as PetTeach Petsaver First Aid and CPR, and make sure the qualifications are up to date as many require recertification within a two year period. Qualifications that have expired are essentially null and void, as the monitoring of petcare regulations is updated in order to remain current with the best practices. Make sure whoever you hire holds the most recent version of their qualification, or else their knowledge and expertise could contain gaps that could make all the difference to the care of your pet. Does your pet require a lot of love and attention? Do they get anxious or upset if you leave them alone for long periods of time? If so, your animal may require overnight visits while you’re away. It’s wonderful that some pet-sitters offer this service, because it provides the fullness of care of a boarding kennel while also allowing your animal to remain secure in the comfort of their home. Just make sure that your animal is friendly to strangers, and meets other qualification criteria including being house-trained and up-to-date with their flea treatment and relevant vaccinations. Overnight visits mean that the professional pet-sitter literally spends anywhere between 12 and 24 hours with your animal, and provides them with as much love and attention as they get when you’re not away on holiday. While you’re deciding on whether an overnight visit is appropriate, it’s recommended to think carefully about factors such as cost and convenience. This high level of pet care will obviously cost more than hiring a pet-sitter just to call in and check on your pet once a day. Like any other service, prices goes up according to the level of care and frequency of visitation you require. It’s entirely up to you, as the pet owner, to come up with a tailored schedule for visitation and routine feeding or grooming, in order to ensure that the quality of life of your pet doesn’t diminish while you’re on vacation. While the needs of your pet and the services offered by potential pet-sitters are both considerations of the utmost importance, there is another factor to think about when it comes to vacationing during the summer months: keeping your pet cool in hot weather. This is your responsibility as a pet-owner no matter where you live. There are geographical areas all around America that have notoriously hot summers. Northern Virginia and Washington DC, for example, boast high average temperatures in the mid to high 80s during the summer months. It’s wonderful to take advantage of the warmer weather during the summer months, but animal lovers need to consider the needs of their pet in order to avoid them overheating or becoming dehydrated. Luckily, while you’re away sunning yourself at your holiday destination, expert pet-sitters possess the experience and expertise required to look after animals no matter what the weather conditions are. Good pet-sitting companies will ensure that their staff are trained and certified in order to give their customers greater confidence in their care-taking and comply with relevant government regulations.